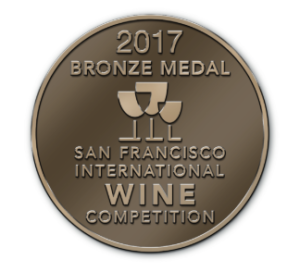 This Bordeaux style blend was left to mature on the vine until reaching peak maturity and was then hand harvested, hand sorted, and underwent a cold maceration for 5 days before fermentation. Extended skin contact rounds out the pallet and integrated the rich tannins. It was then aged in French oak for 9 months prior to bottling. The blend is of Merlot, Cabernet Franc, Petit Verdot, and Malbec. This harmonious blend has bold red fruit aromas of ripe plums, cherries, and blackberries. The wines fruit aromas are balanced with subtle notes of earth and spice. It has bold tannins with a medium body and as it is an early release can benefit from cellaring or decanting prior to enjoying. 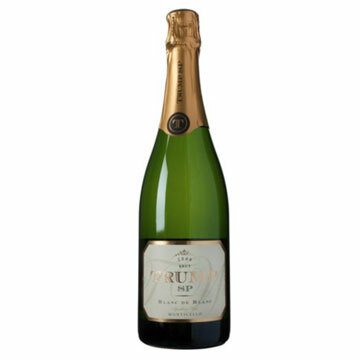 This Brut is made via Méthode Champenoise with our best Chardonnay. Hand picking by night and gently pressing ensures that this wine retains all of its best qualities. After a combination of stainless steel and French oak barrel aging, the wine gains complexity by aging on the lees in the bottle for a minimum of 3 years. At disgorging, a low dosage is added to balance acidity and improve mouth-feel. This sparkling wine is bright and rich with acidity. It has a floral nose and flavors of bright green apple, lemon custard, pear, and brioche, Blanc de Blanc finishes with a great minerality. Pair with mild cheeses, scallops, or serve as an aperitif. This cabernet was left to mature on the vine until reaching peak maturity and was then hand harvested, hand sorted, and underwent a cold maceration for 5 days before fermentation. Extended skin contact rounds out the pallet and integrated the rich tannins. It was then aged in French oak for 9 months prior to bottling. On the palette the wine is silky with dark fruit flavors of plum, blackberry, and hints of Toffee and dark chocolate. Enjoy with steaks, braised red meats, or hard cheeses. Chardonnay is hand-harvested early in the morning and whole cluster pressed. The juice is cold settled then fermented in stainless steel tanks. 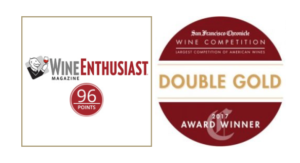 No malolactic fermentation keeps acidity and freshness in this chardonnay while mixing of the lees at the end of the alcoholic fermentation for 1-2 months rounds out the mouth and builds great structure. Aging occurs 85% in stainless steel and 15% in new and 1 year old French oak barrels. Our Chardonnay is both fresh and creamy and has notes of lemon, orange blossom, and white peach. Partial barrel aging increases complexity and body while bringing subtle notes of butterscotch and spice. 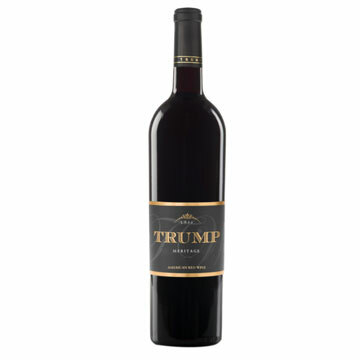 Unique to Trump Winery, Cru is created by blending Chardonnay juice with grape brandy in lieu of a traditional fermentation. This fortified wine is then aged for over a year in American bourbon barrels. The result is an aperitif wine with 14% residual sugar that is truly all-American. 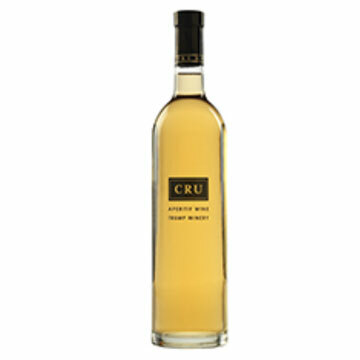 This aperitif has deep fresh aromas, with flavors of pear, citrus, bourbon and toasted almonds. The blend works equally well neat or as a mixer. 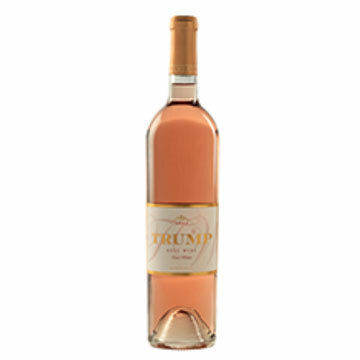 This brand new, 2017 released dry Rosé is a blend of 40% Merlot, 30% Pinot Noir, 20% Cab Franc and 10% Cabernet Sauvignon. 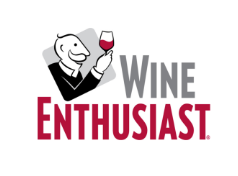 It is made with the bleeding method of Bordeaux varieties as well as direct pressing Pinot Noir. This blending allow for maximum fruit expression while balancing freshness and acidity. Just after pressing, the juice fermented slowly in a stainless steel tank and aging in a stainless steel tank preserves the wine’s freshness and aromas. The wine has intense strawberry and grapefruit aromas. 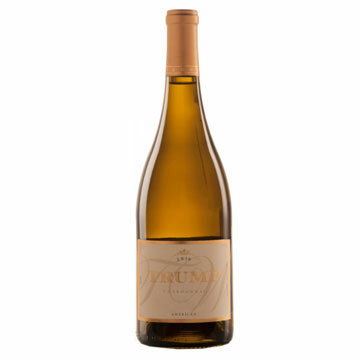 The palate is nicely balanced with a refreshing and zesty acidity and a soft, creamy finish.